With ‘Halo 5: Guardians’ a very curious thing happens. His cinematic, proud and full of action, they are so exciting that the player can not help thinking: ‘I wish the game was so’. 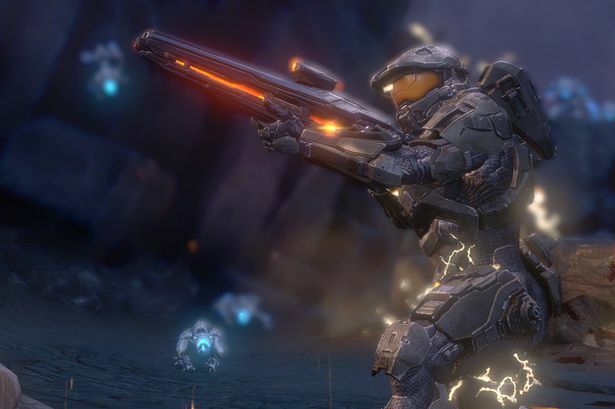 Eye, not that the title of 343 Industries lacks charm and force but, admittedly, the sequences in which the player has no control -not look fabulous are made with the motor and appeal directly to the game-popping cinema the game tries to replicate. Then, when one gets behind the wheel of Master Chief and Jameson Locke yes, the narrative jumps from one character to another, something that became fashionable ‘Call of Duty’- the feeling fades a little. But just a little. The study directed Bonnie Ross faced his second chapter of a saga that, today and in the collective imagination, seems to belong to Bungie. This time 343 Industries has managed to replicate the shapes and the background study ‘Destiny’ left behind. In this adventure, the Master Chief and the Spartans of Blue Team decided to disobey the orders of the UNSC after discovering something unexpected on a mission. The command then ordered the spartan Jameson Locke and Osiris team that will stop your feet. The decision is interesting because it gives less prominence to the Master Chief for Locke and his Nathan Fillion, incidentally, it has a small role as Edward Buck. To make matters worse, the persecution that frames the whole story occurs during the civil war between the Covenant. Beyond the reasons why the characters act as they do, the question is whether, as a game, ‘Halo 5: Guardians’, falls short of the saga. The simple answer is yes. In fact, the improvements over the previous game are obvious. As the title of first-person shooter, the fifth chapter of the franchise has some very well designed levels that contribute to make shootings something exciting and varied , in which the use of vehicles and height without doubt wagered a more vertical design in escenarios- is never artificial. You can sort the squadron that accompanies you to hold the position or attack enemy -a often makes them lose their life-and even go to heal when you have fallen in combat. The latter decision remains difficult to play but certainly helps the flow title. The presence of enemies with different weaknesses and very different movement patterns-the artificial intelligence of these remains as meritorious as he drew Bungie- also gives variety to situations. Scenes like the elevator is infested with enemies of the left in the player’s mind. Other scenarios, however, only point which can give him a title as he played in cooperative mode. Because yes, this is the main novelty of the title: it is possible to play the campaign with three other players, you can join and leave the game at any time and without interrupting the rest. In this sense, sometimes the design of the scenarios seems subject to collective enjoyment, but it does not stop tarnishing the game solo, shown solid and efficient. Less solid is the graphics. Let us start with a base, the writer of these lines has never liked the artistic design of ‘Halo’, if we ignore armor, of course. And ‘Halo 5: Guardians’ would not be less. The rather flat and aseptic, perfect for those structures represent the future, textures are still there and when the title gets into most striking landscapes: a forest, ruins, canyons … No impact as it should. In fact, the game comes to look at 1080p in their time of greatest splendor to improve performance, committed to changing the definition of texture as the player approaches for different environments and the problem is that it shows, subtracting the consistency final result. Of course, some resounding play 60 frames per second. Are those 60 frames per second which really enjoy the online section, another great jewel that has always hidden the Halo universe. This time multiplayer games are somewhat faster, perhaps seeking to satisfy users ‘Call of Duty’, but that does not mean the series has lost its personality. There is still the arena, with fierce 4vs4 games and agile, which again the vertical design appears on stage as one of the great innovations. Modes such as Deathmatch, Capture the Flag, Strengths-in which the player must master three points off the map and unarmored Swat -the players have a gun or a rifle to crush the heads of the enemies are still there. A new feature in this regard is leaking. It is competitive matches of teams playing 4vs4 eliminate all opponents with no possibility of reviving or take a flag and bring it to the opponent’s base. The Warzone called other big news is the multiplayer. They are games 12vs12 two possibilities. On the one hand, reach the thousand points or destroy the core of the enemy team. On the other, assaulting or defending a base. But 343 Industries has not stopped there. During the madness that puts Spartans compete in 24 stages, this time, more open, the title throws waves of enemies and the computer that will provide juicy points Player scoreboard controlled bosses. All this progress and experience points can be reinvested in the REQ supplies, a kind of envelope of gold, silver, bronze, that will give us letters with different supplies of all kinds-weapons, vehicles, enhancers … – face to fight the sand. It is this most controversial point of the experience. The envelopes are a lottery, where the player does not know what can you play, being random, and also each letter has a single use, so you can get a car and if you are given bad game, lose it instantly. Only time will tell if it is a good initiative but the truth is, a priori, does not seem that is at stake the fate of each. ‘Halo 5: Guardians’, exclusive to Xbox One, is not a revolution, but it takes the elements that made the series famous something. 343 Industries knows make a ‘Halo’. To see what surprise us next time.